The United Tiny House Association is bringing its for-charity Tiny House Festival® back to Georgia… and this time it will be even bigger and more exciting than our first 3 Georgia Tiny House Festivals! As with all our events, the 2019 (4th Annual) Georgia Tiny House Festival® will be unique to itself and offer activities, workshops, lectures and tiny houses not seen or available at any other tiny house event! New to the 2019 Georgia Tiny House Festival is that we are at a new location bigger and better location and more suitable for supporting our ever-growing Georgia Tiny House Festival! Returning once again are those beautiful and classic vintage campers to “Happy Camper Land”, and a number of skoolies (converted buses) will be in attendance in “The School Yard”… and be sure to visit the gypsy wagons, yurts and other special tiny homes in the “Bohemian Village”. Private-owned tiny houses will be found in “Tiny House Town” and new model tiny homes will be on display, and for sale, from a number of professional builders in “Tool City”. The United Tiny House Association prides itself on providing some of the biggest names in the tiny house movement as speakers and presenters at its events. 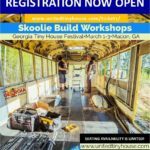 The 2019 (4th Annual) Georgia Tiny House Festival® will continue with this tradition by offering 3-days (Friday, Saturday & Sunday) of workshops and lectures from experts and trailblazers in the subjects of tiny house construction, the tiny lifestyle, the legalities of living tiny, code enforcement considerations, off-grid living, and SO MUCH MORE! 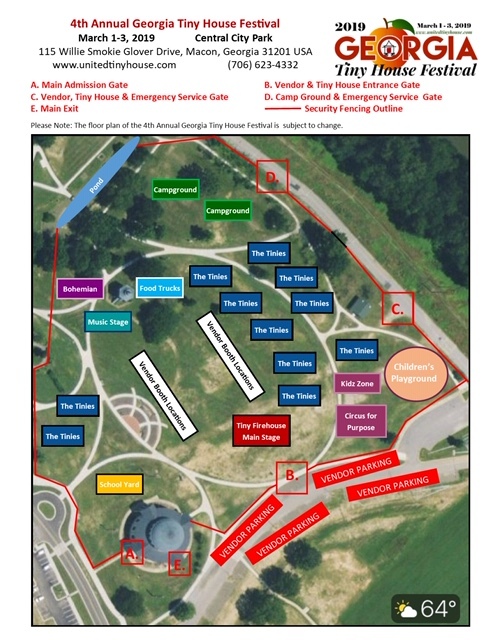 Additionally, “Teenie’s Tiny Wonderland” has been expanded (yet again) offering an even larger area (yet again) for young ones to enjoy the fun and activities with “Circus for Purpose”! Friday, from 12PM-4PM, the gates open for $10.00 per person (ages 13 and older) and the gates open at 5PM for FREE FOR EVERYONE! There is an outdoor concert and fire performers on Friday night at the main outdoor stage, plus additional live entertainment throughout Saturday and Sunday. 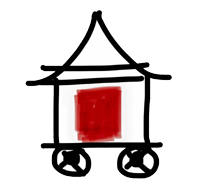 Be sure to mark your calendars for a great tiny house experience and plan to attend this family-friendly event, which promises to be three days of excitement, fun, inspiration, and of course… LOTS of tiny homes! Please Note: The 4th Annual (2019) Georgia Tiny House Festival® is the United Tiny House Association’s 12th for-charity tiny house event. Check HERE for onsite camping reservations, and for nearby hotels and other off-site accommodations. 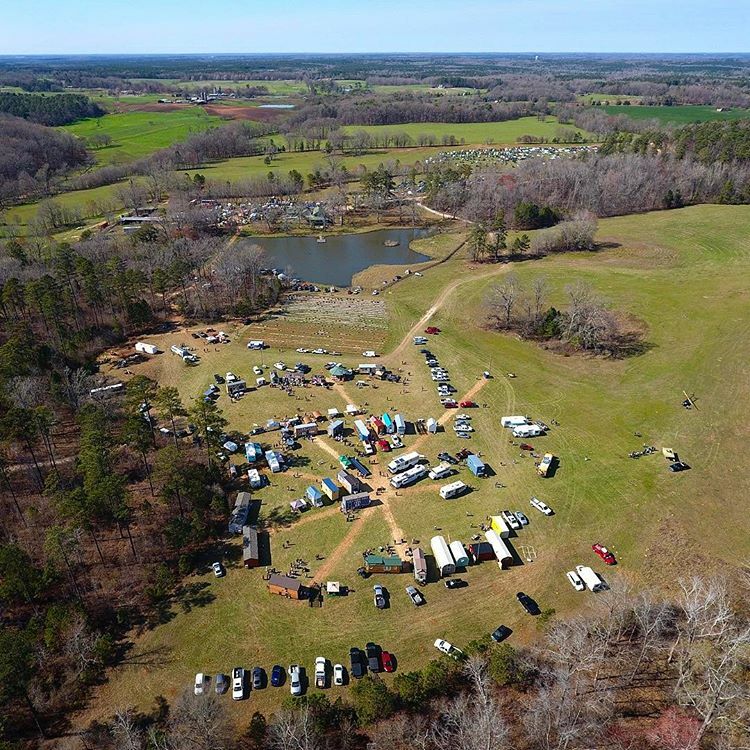 Lots of information and links to purchasing tickets, reserving campsites, seeing who is presenting, checking out vendors, and more is available through our web site’s FAQs page. 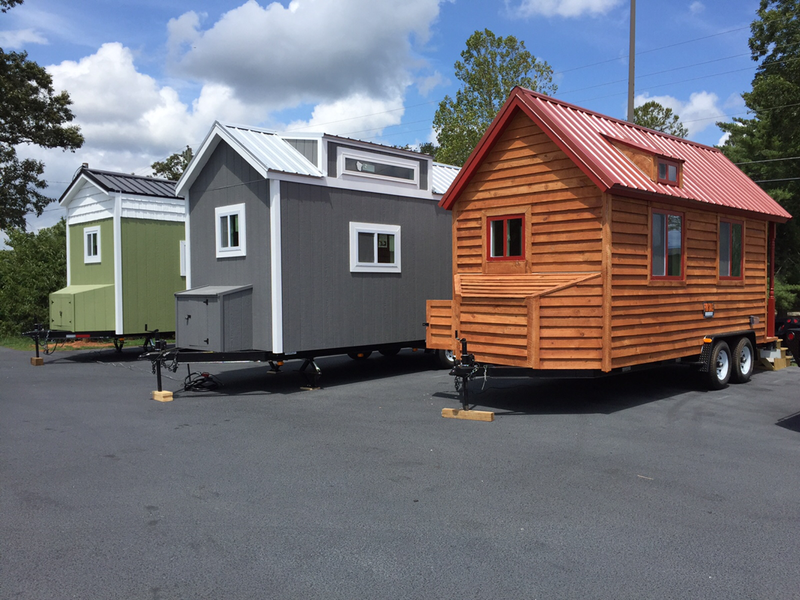 Please do not hesitate to contact the United Tiny House Association by email at unitedtinyhouse@yahoo.com or by calling 706-623-4332 with any questions you might have about the 2019 Georgia Tiny House Festival.